NAWG’s strength comes from the grassroots – wheat growers across the country who research issues, set policy and educate policy makers in Washington, D.C., about how these issues affect our nation’s wheat farms. All the work NAWG does is in conjunction with its 20 affiliated state associations. Though these state associations themselves vary in size, composition and resources, leaders from all affiliates come together to create a strong national organization. NAWG’s policy comes up from the countryside through county committees, which send policy ideas and resolutions to state associations, which set their policy and bring priorities to the national association. Farmers who step up to represent their state associations on NAWG’s Board of Directors serve as the crucial link between individual wheat growers, the state organizations and the national organization in Washington, D.C.
NAWG’s resolutions give direction to the NAWG officers on critical policy issues affecting wheat growers across the country. These resolutions, approved by NAWG policy committees and the NAWG Board of Directors, are the official policies of the organization. Advocacy: Advocate for the wheat grower. Be proactive; go on the offense versus the defense. Maintain and increase the profitability of growing wheat and make it competitive with other crops. Improve wheat technology across the board. Engage federal agencies, non- governmental organizations and industry. Prepare, plan and execute successful farm policy strategies and maintain and increase risk management tools for the wheat grower. Influence through partnerships: Increase the influence of NAWG by working with partners; building key relationships and coalitions; and developing unity among NAWG’s member states. Develop relationships with fellow agricultural groups and other wheat organizations, Members of Congress and their staffs, industry partners and others. Such collaboration has leveraged scarce and valuable resources in the past and must continue. Interface with the public: Engage with consumers and the general public. Be an advocate for wheat. Collaborate with groups such as the Wheat Foods Council and others. Use the National Wheat Foundation to its full potential. Help urban consumers to now and appreciate wheat. Mobilize and train growers. Meet the challenge of social media. Be unified in our message. Building our own capacity: Involve and train more farmers. Strengthen the grassroots state organizations. 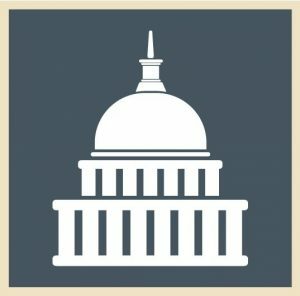 Increase consistent funding for NAWG. Ensure that the Association and the member states have the resources needed for today and tomorrow.